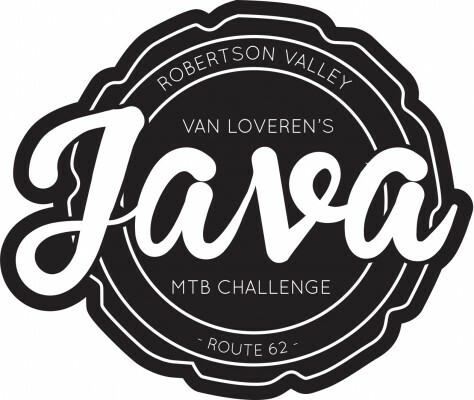 The annual Van Loveren Java MTB Challenge offers some fresh challenges to adrenalin-seekers who sign up for the event taking place near Robertson on Saturday, October 1 this year. A fun-filled sporting day for the whole family, the Van Loveren Java MTB Challenge includes not only MTB, but also a trail running competition across scenic farmland and mountains as well as food stalls, music and wine tasting. The centre of activities is again the Van Loveren Family Vineyards, situated 90 minutes from Cape Town. In addition to four MTB routes varying in distance between 8 and 85km, there’s also a 10km trail run. All entrants will receive medals upon completion of their chosen activity, while there are prizes and lucky draws to the value of over R 40 000 up for grabs. The event has built up a loyal following over the years and regulars at the Java MTB Challenge use the race to train for the upcoming Wines2Whales; Bridge Cape Pioneer Trek; and, To Hell and Back. The 8km route is an easy, non-technical fun ride that’s suitable for children and perfect for families to do together. The 20km is ideal for beginners and lies mostly along a jeep track with some single track. It’s not very technical and only covers 250m in elevation. The 45km is suitable for an intermediate level of experience, taking riders over elevation variance of 800m. The 85km route however, is gruelling and should be attempted only by very experienced riders. It covers virgin territory following the commissioning of a new route last year, and custom-built single tracks. The 1600m elevation will challenge even the most seasoned riders. All riders with a Racetec chip will be timed. The trail run takes participants across the Breede River, through vineyards and along the Elandsberg Mountain. Although only 10km in length, the 350m variance in elevation and rocky terrain is sure to test runners’ endurance. The trail run is a self-timed event, so no race chip is needed. By entering the events, participants support very worth causes. The Java MTB Challenge is a fundraising platform for local schools and charitable organisations that assist with organising and logistics on the day. Beneficiaries for this year’s event are Robertson Primary School, Robertson Preparatory School, Goudmyn Rural School and Wakkerstroom Rural School. The Java MTB Challenge is sponsored by Van Loveren Family Vineyards, Pick ‘n Pay (Robertson), Monsanto, Roundup, Lelienfontein Vine Growers, Rola Motor Group, Tekco Pac Packaging Solutions, Imvusa, Cape Winelands District Municipality, Signet Printing, Glider Eyeware, Coca-Cola and YehBaby Digital Creatives. For more information, visit www.javamtb.co.za or contact Johan Rossouw on email java@vanloveren.co.za or tel: 023-6151505.